Fresh from MTP Glass is this beautiful fumey glass waterpipe with Monkey Throw Poop's fingerprints all over it (not literally). This one of a kind piece has a numerous magnifying dots and marbles plus a matching fumed 10mm downstem. 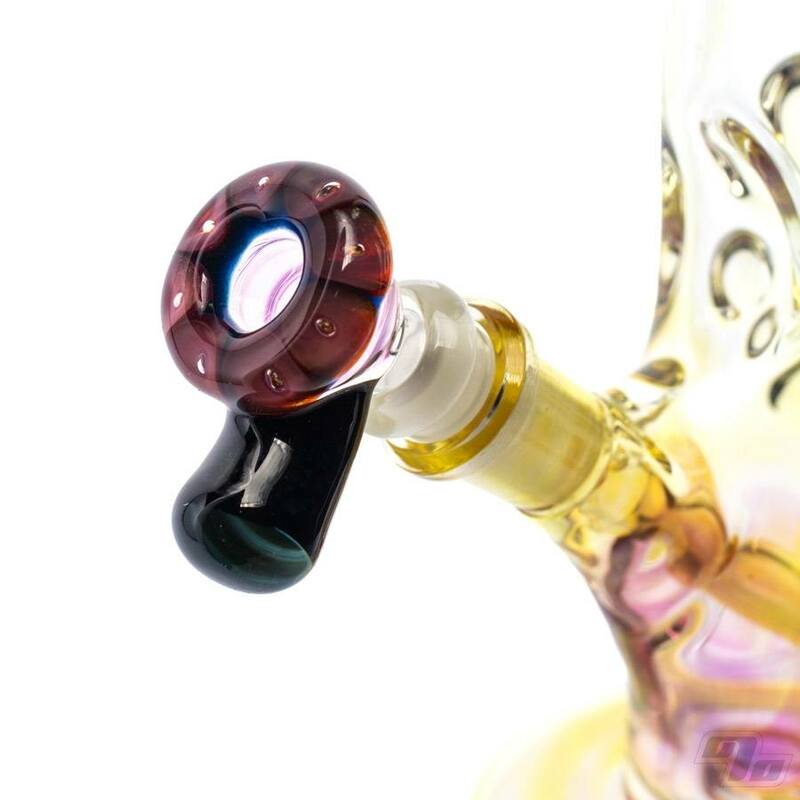 This fine glass tube is finished off with a 10mm worked air dot bowl; complete with vortex marble on the pull slide handle. Pop it in to this straight tube standing tall at 11.75 inches and you're good to go. 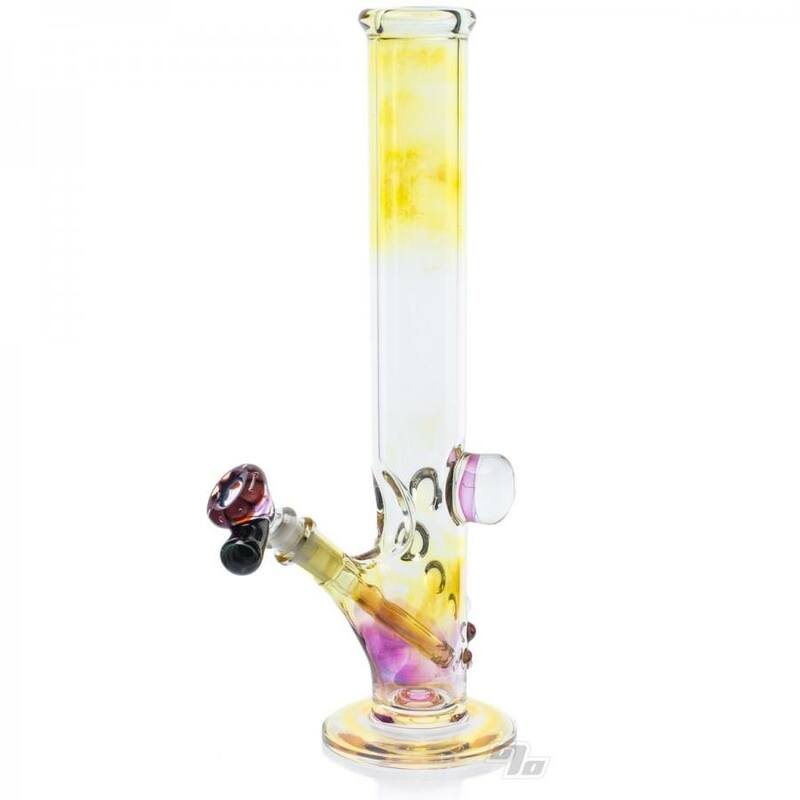 This straight tube is super functional and measures up at approx 11.75 inches tall 3 inches diameter at base. 10mm female joint with flower slide and removable downstem.